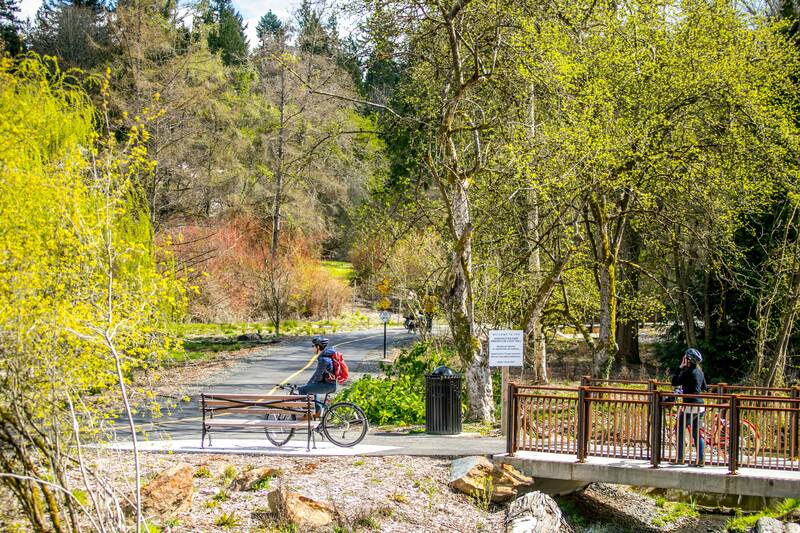 A new trail that winds through Washington Park Arboretum is bringing to focus plants previously hidden and a stream that used to be underground in pipes and culverts. 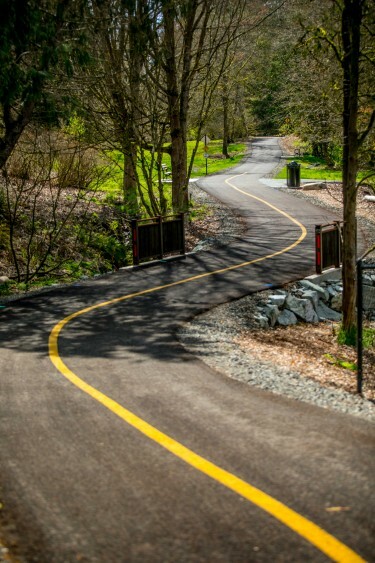 The paved path completed this winter creates more opportunities for pedestrians, wheelchair users, slow-moving cyclists and families with strollers to explore the arboretum, which features one of the nation’s most diverse plant collections west of the Mississippi River. The trail and the various plant collections it now gives access to have caught the attention of visitors to Seattle’s largest public garden — and that of the staff who are intimately familiar with the collections. The UW together with Seattle Parks and Recreation and the Arboretum Foundation on Sunday, April 8 will celebrate the trail opening with festivities along the path, including live music, free snacks, food trucks, a talk by outdoors writer Craig Romano and a “vine-cutting” ceremony at 1 p.m. The free event is scheduled from noon to 3 p.m. Parking is limited and organizers are encouraging people to carpool or take public transit. The two-mile loop through the public garden connects a new 1.2-mile section to existing Arboretum Drive, from Foster Island Road south to East Madison Street. A new pedestrian walkway off Lake Washington Boulevard East at Boyer Avenue East allows visitors to easily enter the arboretum from an additional location. 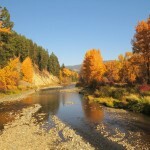 The project uncovered a stretch of Arboretum Creek, which before was partially shuttled underground through pipes and culverts. Several new bridges along the path serve as stream overlooks, and arboretum staff have noticed more wildlife along the creek since the project was completed. The creek flows through a natural wetland that also benefits from the project’s restoration work, including about 30,000 new native plants, and deliberately placed tree logs that encourage pooling and create more habitat for wildlife. Rain gardens and natural filtration berms will filter debris from runoff and help manage flooding during large rainstorms. Elsewhere along the path, hundreds of plants and trees were transplanted, propagated from existing plants and brought in from nurseries to add to the arboretum’s collections. There are many more varieties of rhododendron, oak, and Chilean and Chinese plants, to name a few. The trail gives new access to several collections that before were hidden from view. For instance, the arboretum’s nationally recognized oak collection is now more visible, as well as its viburnum collection that has a rich variety of species. Additionally, the wetland area along Lake Washington Boulevard before had several disjointed footpaths that were fully underwater by late fall. Now that area is reachable with the path, footbridges and new drainage features. Eight interpretive signs along the trail highlight the plant species, garden areas and arboretum features visible from each spot. Since the construction fences surrounding the new path started coming down last November, arboretum staff say they have seen at least a 50 percent increase in people stopping by the visitor center. 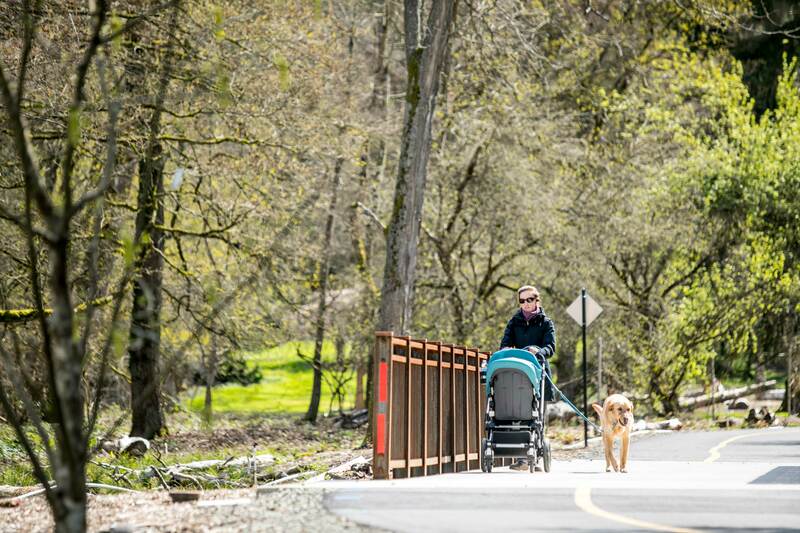 They attribute that to how inviting the new trail is to families and first-time visitors — and the fact that more of the arboretum is accessible than ever before. With its proximity to downtown Seattle, light rail and bus service — and given Seattle’s massive growth — the arboretum is becoming a destination for those seeking nature, said Fred Hoyt, interim director of UW Botanic Gardens. 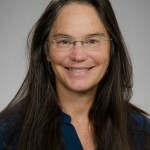 The arboretum is managed cooperatively between the UW and the City of Seattle, with support from the Arboretum Foundation. 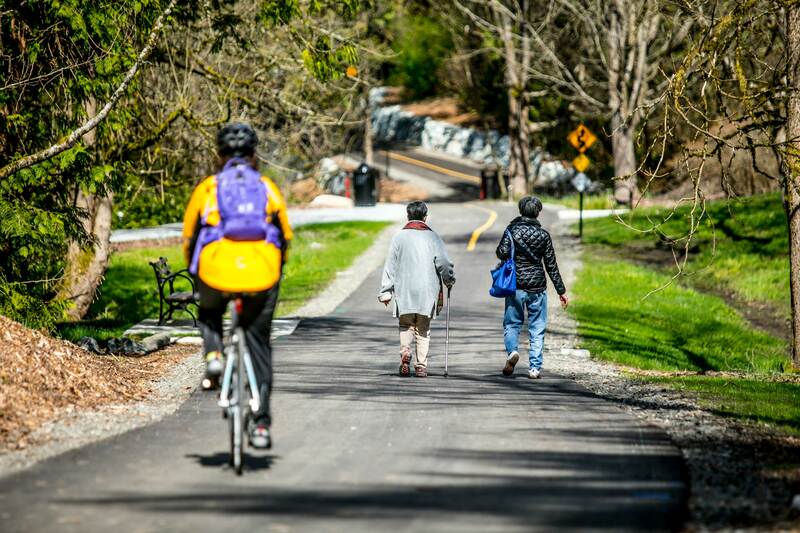 The loop trail project and restoration work were funded by the Washington State Department of Transportation as part of the SR 520 bridge construction. The $7.8 million project is part of the arboretum’s 20-year master plan, which was adopted in 2001 after years of public input. The trail was designed by The Berger Partnership and built by Ohno Construction.